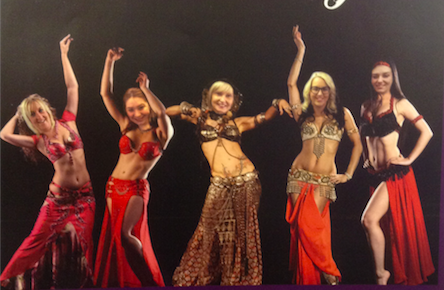 Salon-owner forms belly dancing troupe to fundraise for us! Claire Seymour, owner of the Top-to-Toe salon in Skelton, and her team of beauty therapists have formed belly dancing troupe The Turkish Delights to entertain guests at The Grinkle Park Hotel on 14th November. They have been rehearsing for eight months and it’s all to raise money for Ellie's Friends. Claire first met Ellie when she started visiting the salon for beauty treatments. She became fond of her, and followed her blog about her cancer journey, writtenoff.net. Ellie’s family had booked into the salon for Ellie’s wedding day in 2012, but sadly Ellie died just weeks before her wedding.